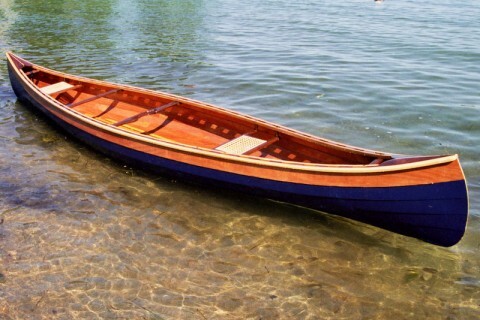 This sleek and lightweight canoe is ideal for exploring lakes, ponds and flatwater rivers. 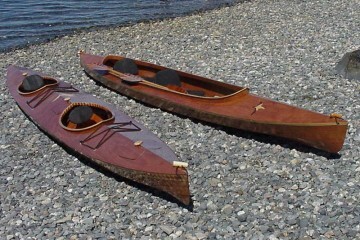 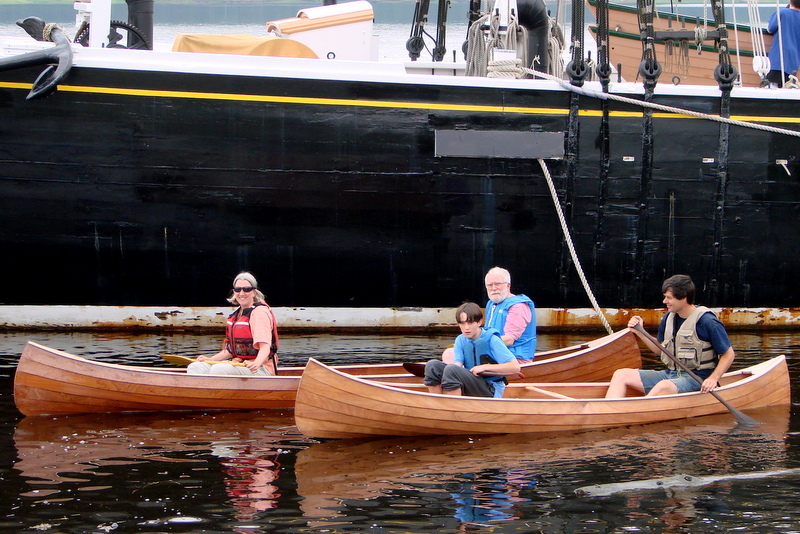 It’s classic lines and lapstrake construction are reminiscent of the great age of the canoe. 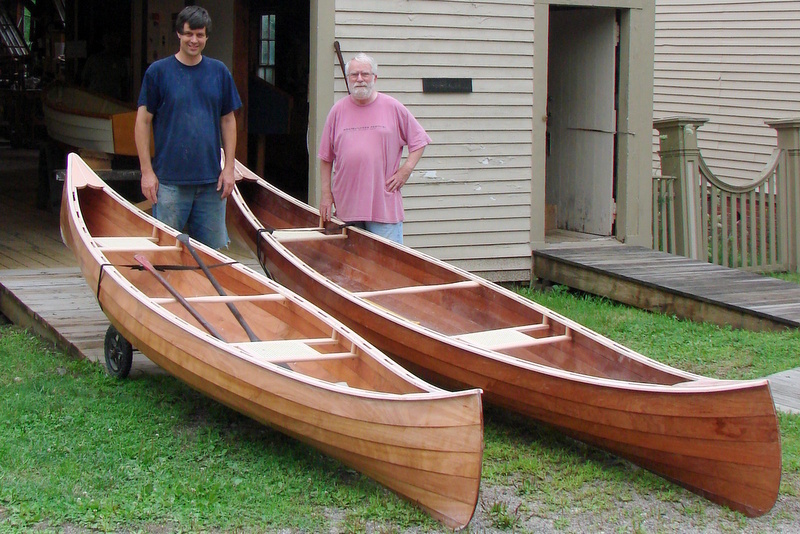 Its lightweight glued plywood construction makes it an easy boat to build and use. 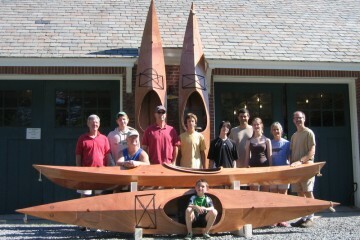 This canoe is built stitch and glue fashion with the plywood panels overlapping like clapboards on a house. The joints are then filled with epoxy to make a strong, water tight joint. 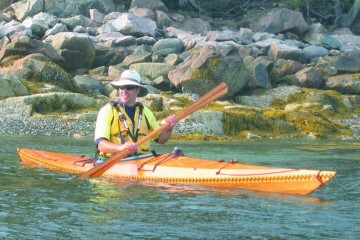 Fiberglass is not used on the joints, so the boat ends up lighter than standard stitch and glue construction. 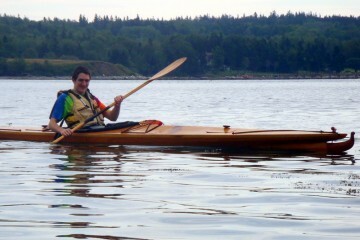 I have a Schoodic 14 here at the house if you want to try it out or buy it.